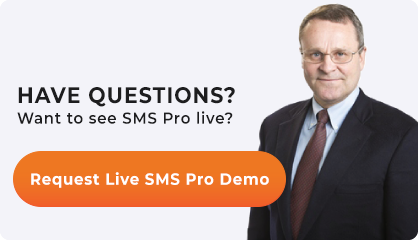 What are Safety Reports in SMS Programs? Safety reports in SMS programs are your primary weapon for communicating safety information to stakeholders. Safety information will be catered to stakeholders. Other SMS information, such as goals, objectives, etc. 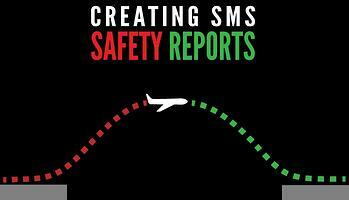 Usually, safety reports in aviation SMS programs will revolve around safety performance. They key take away with creating safety reports in SMS programs is: VISUAL is effective and pretty. What are Safety Reports Used For? Depending on the audience the report is designed for, the report be a “brutally honest” look at safety performance, or it may take a more positive spin. You don’t want, for example, to create a brutally honest safety report for customers. Promote the safety program, where applicable. Focus on goals for improvement in areas of under-performance. If you overdue the “SMS promotion” in safety reports, people with disregard and mistrust the report, which defeats the purpose of creating it. SMS information, such as information about the SMS roadmap for implementation, future objectives, changes, etc. Conclusions, such as bulleted lists of the “big picture” benefits and areas to work on in the SMS program. Comparative data and SMS information may be focused on in reports for compliance agency reports. Of course, every report will include a little bit of every type of data, but there’s no denying that depending on who the report is for, different types of information will be focused on differently. What kind of safety charts need to be included? What kind of language should be used (i.e., technical, jargon, layman terms, etc.)? What kind of data should be included/omitted? What do you want to highlight about your safety program? Take screenshots of pie charts, line graphs, etc. List important SMS facts that you want to communicate, such as exemplary issues, safety culture surveys results, etc. It’s important to have a template(s) to ensure consistency in your reports. You can have different templates for different types of reports (i.e., stakeholder safety report, management safety report, etc.). Creating templates is extremely important. It requires a bit of front-end work, but in the end it will save you a significant amount of time and ensure that all your reports are to quality standard. The best tools for creating reports is something like an integrated aviation SMS software. This will provide you with the most resources directly at your fingertips to create reports with. Beyond this, Excel provides a relatively efficient way to present information in tables, generate graphs and charts, etc. though it will require a bit of legwork. If you are working with a manual SMS program and do not have experience with Excel, sticking to bulleted lists of data, and anecdotal evidence will be your best bet. Your reports won’t be as pretty as they would be with charts, but they can still be effective.